The object I have chosen from the Camberwell Collection is an acrylic paperweight with an unidentified rock inside. The date of the paperweight’s creation is also unknown. The paperweight has no particular significance. The lack of information about the original object has given me the opportunity to re-invent the object and has also given me the freedom for creative speculation. The paperweight intrigued me due to the contradiction between its heaviness and its transparency. 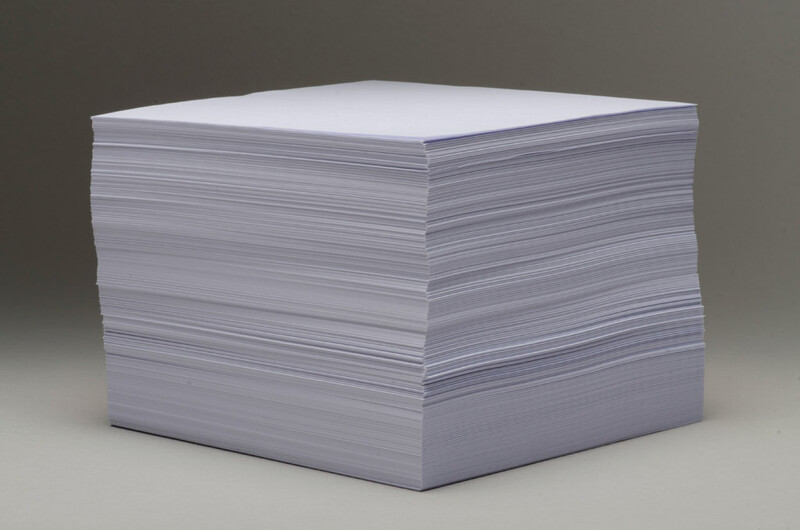 This play on materials inspired one of my responses to the object, the piece of work titled ‘Paperweight’, I have recreated the form and the heaviness of the paperweight with paper. 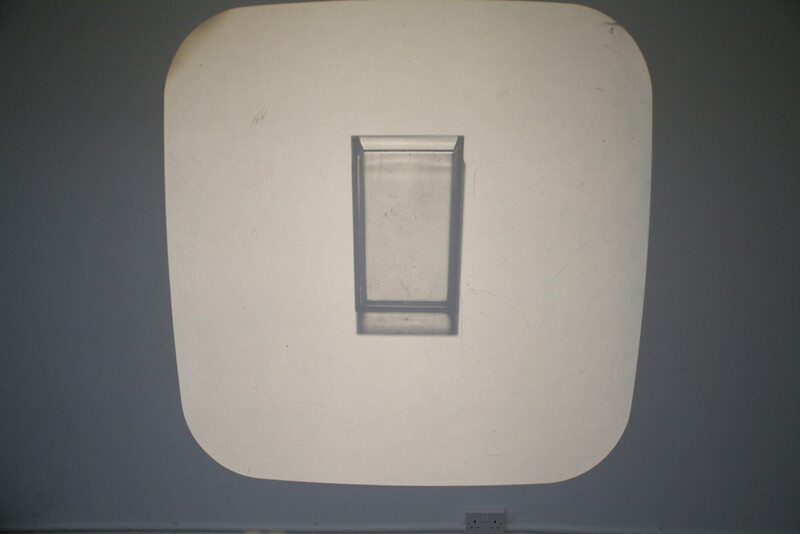 My other response has been the piece ‘The Object with No Objective’ which is an acrylic box placed on top of the overhead projector. This piece represents the form and the material of the paperweight. The empty acrylic box is representative of the V&A’s empty museum cases when then objects have been removed for various reasons. 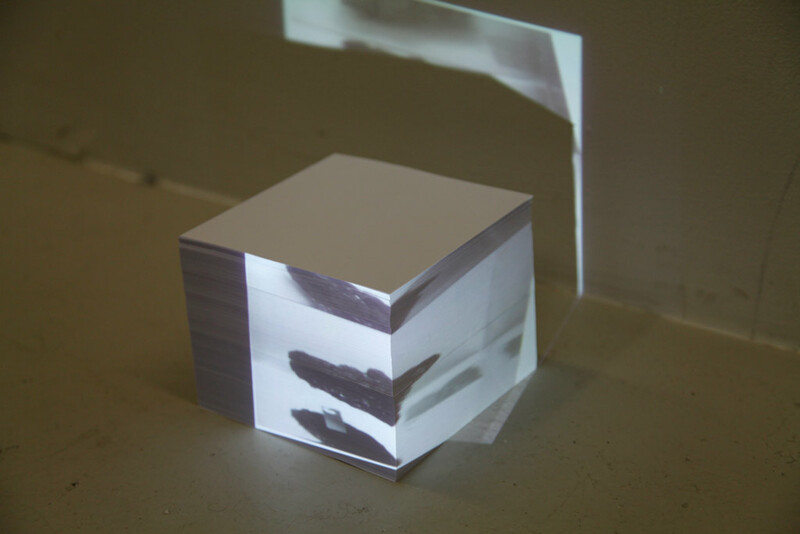 Viewers of ‘The Object with No Objective’ are invited to place their own objects into the acrylic box, which is then projected through the overhead projector. Both of these pieces question the value of the original object, the importance of personal value and the permanence of objects at the moment.